Efforts to reduce toll coming up short warns National Safety Council. 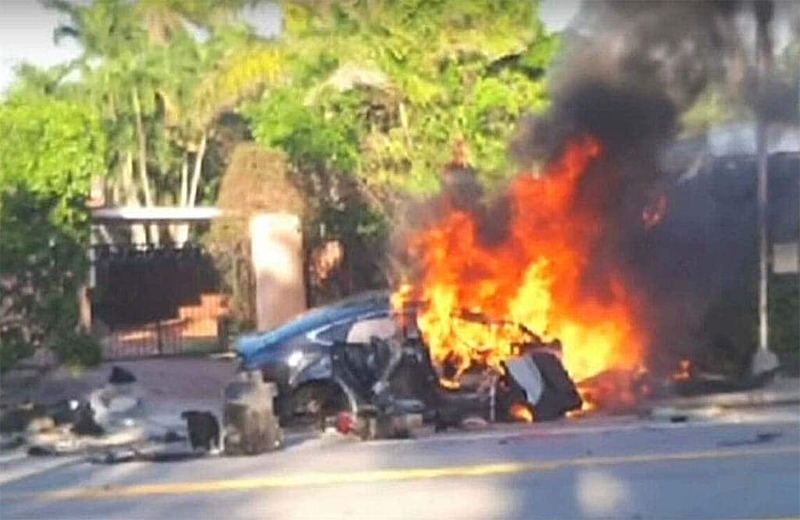 Two teens were killed in this fiery Tesla crash in Florida earlier this year. The U.S. highway death toll remained stubbornly high during the first half of 2018 and as many as 40,000 are now expected to die on U.S. roads for the full year, the National Safety Council warned as the country headed into the Labor Day holiday, one of the deadliest times of the year on American roadways. After decades of decline, highway fatalities began to rise again mid-decade, experts pointing to a variety of possible factors, ranging from distracted driving to the fact that, as the economy recovered, U.S. motorists were simply clocking more miles. 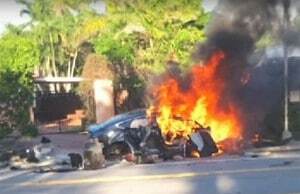 Whatever the reason, efforts to improve highway safety have had little seeming effect. Preliminary NSC estimates indicate that 18,720 people died on U.S. roads Between New Year’s Day and the end of June, down a mere 50, or less than 0.5%, from the prior year’s estimates. Meanwhile, another 2.1 million people were believed to have sustained serious crash-related injuries, a 1% year-over-year decline. 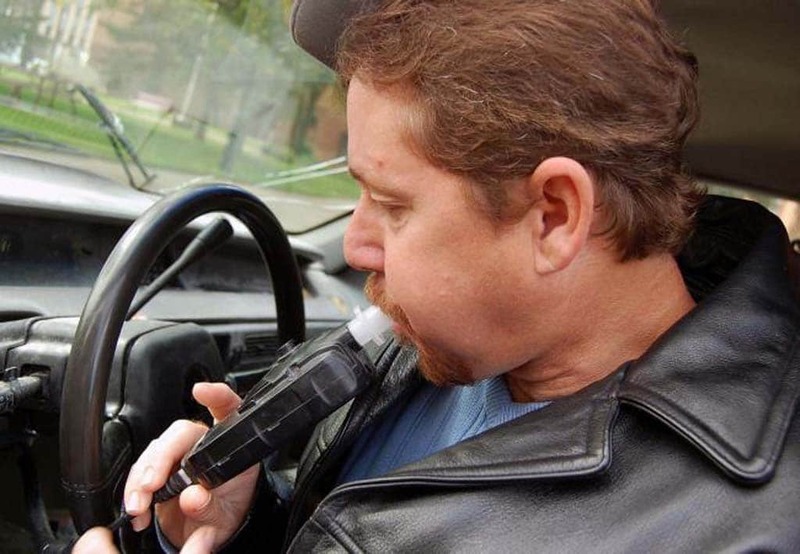 Despite enhanced safety gear and the use of technology like ignition interlocks, drunk and drugged driving deaths have been on the rise. According to a statement from the non-profit safety agency, “The small drop is not so much an indication of progress as much as a stabilization of the steepest two-year increase in over 50 years,” a deadly turnaround that began in 2014. U.S. highway fatalities peaked at 54,589 in 1982, according to federal data. Measured another way, that worked out to 4.33 deaths for every 100 million vehicle miles traveled. (The VMT peak came in 1966 at 5.50.) The death rate, by both measures, tumbled sharply through 2014. That year, 32,744 Americans were killed on the road but, because of the explosion of travel, the death rate fell to just 1.10 for every 100 million miles. Then things turned in the wrong direction. In 2015, a total of 35,485 people were killed and the VMT jumped to 1.15. Fatalities continued to increase in 2016 and 2017. There have been particularly notable surges in certain types of fatal crashes, including those involving pedestrians, according to the National Highway Traffic Safety Administration. Authorities blame a number of factors for the reversal of decades of improvement in highway safety. Distracted driving, by NHTSA’s estimate, is now responsible for more than 10% of the fatalities, and some experts think that may underestimate the problem. Smartphones have been blamed for their role; despite tougher laws, texting while driving is a common occurrence and a number of cities have seen a surge in pedestrians hit while crossing the street while fixated on their phones. Distracted driving is considered a major factor in the recent rise in highway fatalities. As TheDetroitBureau.com previously reportedly, tests indicate 44% of the drivers killed in U.S. car crashes in 2016 had the residue of drugs in their system – up from 28% a decade ago. The opioid epidemic is catching blame, and some safety experts worry about the impact of the marijuana legalization movement, though others say the link between pot and vehicle crashes is being overstated. The National Safety Council’s new report isn’t entirely bleak. It noted that a small group of states, including Indiana Louisiana, Michigan and New York, saw highway fatalities fall by at least 10% during the first half of the year. But that was offset by increases elsewhere, including a 3% jump in California and Texas, a 7% rise in Florida and a 9% surge in Oregon. This entry was posted on Thursday, August 23rd, 2018 at and is filed under Advocacy Groups, Automobiles, Markets, NHTSA Investigations, Safety, Safety, Traffic Fatalities, U.S./North America. You can follow any responses to this entry through the RSS 2.0 feed. Both comments and pings are currently closed. 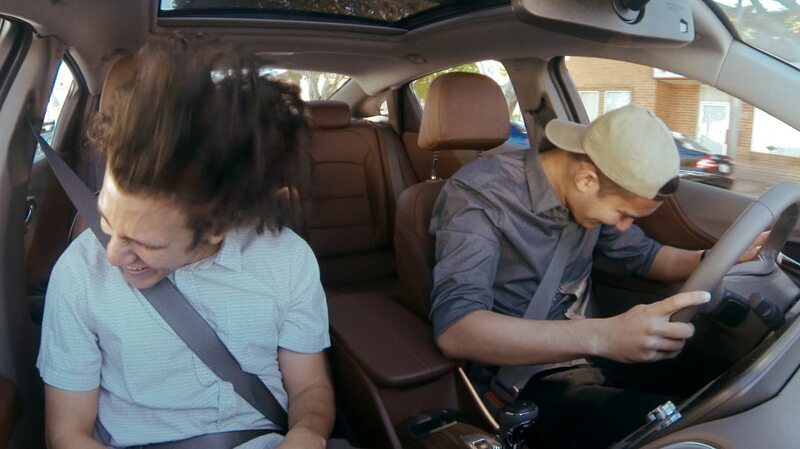 Hopefully the last photo shown above was not taken during an actual driving session.